The premier chess talent and prodigy in Hungary, Peter Leko stormed onto the chess scene in a startling fashion. Breaking records along the way to becoming the youngest International Master and Grandmaster in history, he also ascended to the top of the chess world when he played a match for the World Championship against Vladimir Kramnik. Despite tying the match and letting the opportunity to win the title slip from his grasp, Leko continues to rank among one of the world’s best players, even though a decade has passed. Peter Leko is a chess prodigy who became both the youngest International Master and Grandmaster in the world at the time. He achieved the International Master title when he was 12 years old and in 1994 he became a Grandmaster at the age of 14 years, 4 months and 22 days, setting the new record. 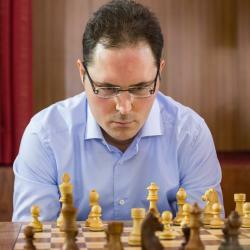 In 2004 he drew a match for the World Championship against Vladimir Kramnik, which allowed Kramnik to retain the title. He reached his peak ranking among the world’s elite when he became the fourth highest rated player in April 2005. In 2010, after a few poor tournament performances, he took a 9-month break from chess. Now that he has returned, he continues to be the highest rated player in Hungary and is still within the top 30 players in the world to this day.